Katherine is an entrepreneur, mother of two, materials engineer and yoga teacher. With that fascinating combination of experience and knowledge she was not one to settle for an ordinary, bland house. Instead she decided to #govictorian and create a stunning home for her young family. Her renovation project was so inspiring it caught the media’s attention and was featured heavily in the press and on This Old House TV. With the help of renowned American interior designer, Amanda Reid, owner at Mandarina Studio, she styled the interior of her house to meet the family’s needs and reflect their taste and way of living. Katherine’s amazing home transformation is very inspiring for us here at Original Style, because she chose to use our beautiful Winchester Residence half tiles in Danube from the Arcadian range for her kitchen backsplash - which essentially created a unique focal point for the space. Encouraged by the American media coverage, helpful contractors and journalists and the photographer who took setting shots of Katherine’s home for the press (Eric Roth) we decided to reach out and ask Katherine some questions. OS: What made you go for a Victorian house? It seems like redecorating it was quite a challenge? KB: We looked for a house for almost a year and kept being drawn to the Victorians. We love the high ceilings, the detailed mouldings and floors, and interesting exterior features of many Victorians. When we saw our current house, we fell in love immediately. We loved all the challenges it presented and we had a great team of professionals to help make it perfect for us. OS: What made you decide to work with an interior designer and how did you create a balance between what you wanted and what she suggested? KB: We loved Amanda Reid’s designs and felt they represented what we’d like our house to look like if we had the knowledge to bring it all together. Working with her was a dream, because she translated our lifestyle and tastes into a functional, beautifully composed home. At the very start, she gave us a worksheet so we could describe how we live and how we want to use the house. We have two little kids so it was very important that she only give us sturdy, kid-friendly options. Sometimes we took her inspiration and found our own items, and sometimes we required that she incorporate pieces we already owned and loved. She was very flexible and accommodating. KB: Our main goals were to have a home that is comfortable for our kids but that has formal spaces for the adults, that feels fresh and current but fits the architecture of the home, and that gives us plenty of ways to organize our messes. To that final end, we built a large coat closet, cubbies for our shoes, and an island to store our mail and electronics. Now there’s no more mess on our dining room table! OS: How would you describe an ideal kitchen and do you think yours ticks all the boxes? KB: My ideal kitchen is one that has enough storage for my many kitchen gadgets that organizes things in a way that’s easy to understand, that has enough counter space for a big day of cooking, and that has a place outside of the main cooking area for family and friends to gather. I love our kitchen. Our kitchen designer, Linda Cloutier, gave us all the right cabinetry in the right places. We have a huge sunny window by the sink and a large eating area to the side where my kids can hang out. I also adore our counter tops, which Amanda played off of when helping us choose our gorgeous backsplash. OS: How important were the tiles and how did you source them? In the end, why did you go for the Winchester tiles and what was it that you found appealing about them? KB: The tiles in our backsplash are critical to the design of our kitchen. We wanted bright white cabinets, and we chose dark, dark blue granite and white marble for our counters. This is pretty stark on its own. The tiles are where we pulled in visual interest and all the welcoming warmth. We have always loved the Victorian fireplace surrounds with mottled, crackled, brightly colored tiles and that was our inspiration for our backsplash. Winchester tiles had exactly the handmade look we wanted plus a huge range of colors. We found them at Roma Tile – it’s a fantastic showroom and the owner Michael could not be more delightful to work with. We loved shopping there! The tiles are absolutely gorgeous and fit perfectly in our house with all of the other nods to Victorian style. OS: What advice would you give to people looking to create fabulous tiled focal points in their homes? KB: My first advice is to go to a large, good quality tile showroom and see what catches your eye. You may find yourself looking with interest at the same type of tile again and again. Then look at the style of your house and your furnishing. Your tile should fit into the overall aesthetic or it will be jarring to look at. If you’re unsure of how to do that, there are great design websites that can give you plenty of ideas. Finally, be willing to splurge a little on tile you adore if it will be something you and your guest will see frequently. You might be able to offset by choosing a less expensive tile for a less public room. OS: If you were to move again, what kind of home would you be looking for and why? KB: We love old houses because they always seem to surprise you. There’s a little nook here or a hidden window there. If we ever moved again, we would be looking for a house that surprises and delights us, regardless of the style. Quality materials are also important for us; many older homes have hardwoods and exotics that are not available anymore. Even after 100 or more years many of these homes are in excellent shape because of quality materials and construction. We also love homes that are part of a neighbourhood or a landscape. Our current home is part of an enclave of other Victorians, so it’s the same and different from its surrounding houses. Some homes are designed to incorporate views or natural features. It’s the care that goes into designing a home that speaks to us more than a particular style (though we really, really love Victorians!). 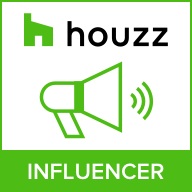 Don't forget to check out our ideabooks on Houzz!